This Queen Anne style wood frame building has 1.5 stories, an asphalt shingle roof, a stone foundation and has been altered. It is a wood frame with wood clapboard siding (1st fl. front facade). It has a hipped roof and a large brick center chimney. There is a square 2nd floor tower on left side with hipped roof, pinnacle, and leaded glass window-tracery. It has 2-over-2 windows grouped in sets of 2 and 3, larger ones with small square panes along top. Early Queen Anne architectural style plus family history suggest an earlier construction date of c. 1885. The pyramidal compound roof of this house, with its cross gables, dormers and tower is a distinctive feature of the Queen Anne Style as are the trio of windows topped by strips of small pages. Although a vernacular interpretation of the style, this house is far more elaborate and fashionable than the older O’Brien house at 80 Church St. and reflects the family’s increasing prosperity. 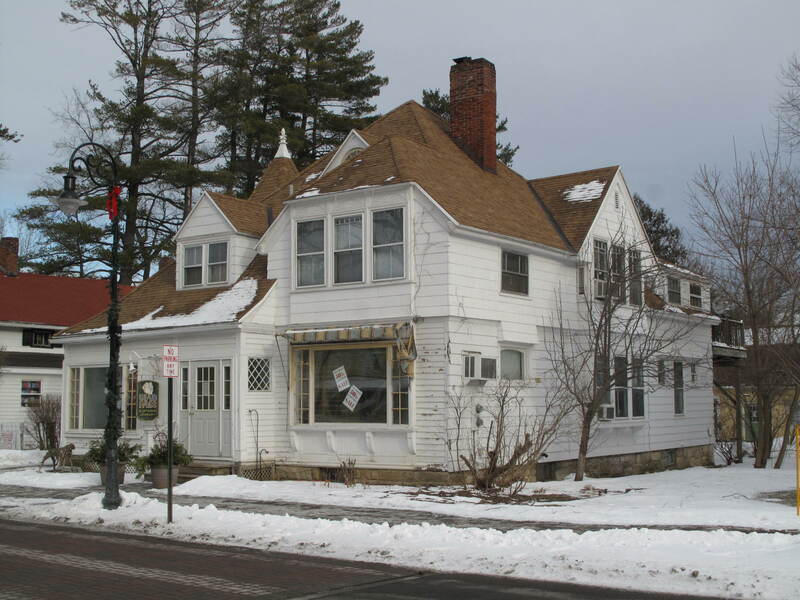 This house was built by James O’Brien Jr. on part of his father’s house lot which was deeded to the son in 1894. James is listed in the 1885 directory as a gardener but seems to have become very successful at whatever he did by the time this house was built. 1880 Census shows James O’Brien Jr. at age 19 living with his father & mother, a 1st generation Irish American (another James O’Brien is a boarder); 1900 Census lists James & Catherine O’Brien, ages 39 & 37, with 4 children (oldest son David, 14 or 16 years old). 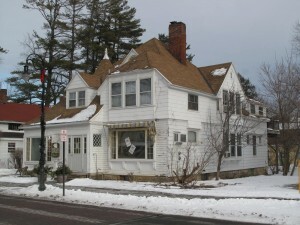 Property was purchased by Lee E. Goldstein in 1971.